Great news, Friday I finished the last of the 140 recipes for my upcoming cookbook, Skinnytaste One and Done, woohoo!! A whole year of recipe testing in my Instant Pot, Skillet, Air Fryer, Slow Cooker, Sheet Pan, etc!! What does that mean? More time to create new recipes here, and maybe even a few vacations. Back to the meal plan. 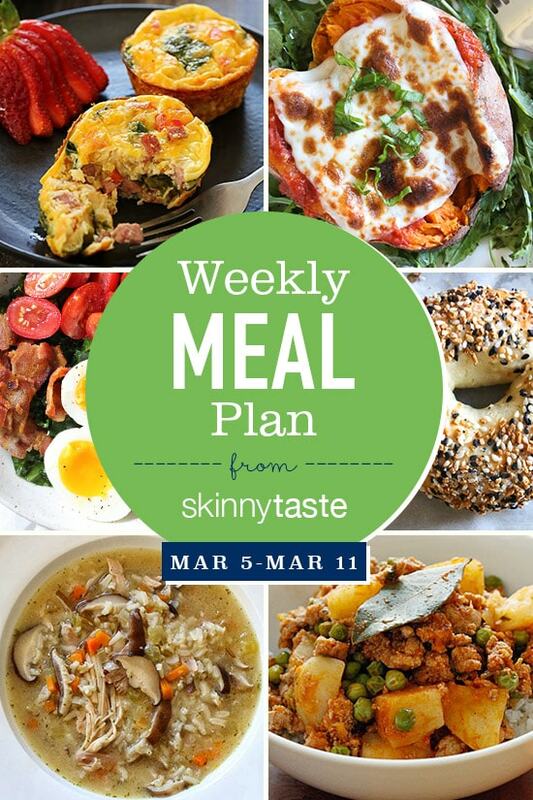 If you’re new to my meal plans, I’ve been sharing free, 7-day flexible healthy meal plans (you can see my previous meal plans here) that are meant as a guide, with plenty of wiggle room for you to add more food, coffee, beverages, fruits, snacks, dessert, wine, etc. You should aim for around 1500 calories* a day.